“How to lose 5 pounds n 2 days”, now that is something you have probably seen countless times on magazines or book covers, and I am sure it sells many copies. Almost anyone would jump at the chance to lose 5 pounds in 2 days, but is that actually possible, or just a clever trick to sell magazines? Surprisingly it is actually doable for most individuals, as you can technically lose 5 pounds in 2 days, but only around one pound of it will be fat. The rest will come from water weight, which will help you look slimmer, but it may come back just as fast as it disappeared. Our bodies are estimated to be made up of around 60% water and the amount of water we are carrying constantly changes depending on what we eat, drink and our physical activity. Therefore, some people will be able to drop 5 pounds off the scale in 2 days, but you need to understand that this will not work the same for everyone. Some people may not be holding a lot of water weight and may only lose 1 or 2 pounds, while some people may actually lose more than 5. The amount of weight you could losein 2 days is mostly going to depend on the amount of water you are holding at this time. This is why below I have included a helpful list of tips to help you drop water weight. A Diuretic is something that will help your body remove excess liquids better by making you urinate more. Foods that are considered Diuretics are normally high in water content themselves, such as lettuce, watermelon, cucumbers, and tomatoes. Caffeine is also a diuretic, therefore any drink containing caffeine could help, such as coffee, tea or energy drinks. However, do not primarily rely on caffeine as a diuretic as drinks using it are commonly high in sugar. High amounts of salt or sodium intake will make your body more likely to hold on to water and cause bloating. Many doctors have even said your body sends you the warning you are consuming too much salt by storing that extra water. On the other hand if you are not drinking enough water daily, then your body will begin to hold onto every ounce of water it can to keep functioning normally. The National Academy of Sports Medicine recommends drinking at least 96 ounces of water per day. Another factor that plays a large role on how much water weight you are holding is your daily carbohydrate consumption, which brings me to my next point. Have you ever wondered why almost everyone who has tried the Atkins or similar low carbohydrate dietshas the same story, “I lost weight quickly at first, but now it came back?” The answer is simple, when you consume fewer carbohydrates on a daily basis; you begin dwindling down your glycogen stores. This directly affects the amount of water weight your body stores and causes you to rapidly drop water weight. This is how low carbohydrate diets promise to “work”. I am not saying all low carbohydrate diets are bad, as some of them can be effective in long term fat loss, I just felt more people needed to be aware on how they work so well the first few days or week. 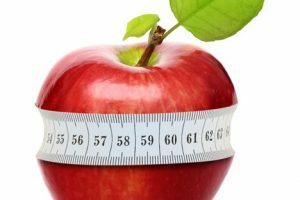 But as I said before, there is no “cookie cutter” diet I can recommend to all of you readers that will automatically make you lose 5 pounds in 2 days. I wish it were that simple, however there are far too many individual factors affecting your current water weight for me to apply the same concept to everyone. Although, I guarantee if you follow the key points I outlined above, you will lose as much water weight as your body will allow. Remember losing water weight is not a permanent change, it can make you look better for now, but if you go back to eating high sodium meals like fast food and not drinking enough water daily, you will gain it back just as fast as you lost it. 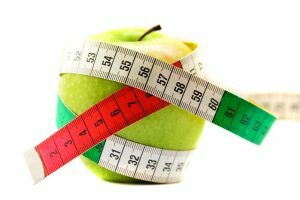 Nevertheless, that does not mean losing water weight is useless, it is still a quick fix and the things you do to lose water weight are healthier for you in the long run anyway. And with that I wish you good luck in your weight loss goals, remember they may not happen overnight, but once you lose the weight it will truly improve your quality of life.